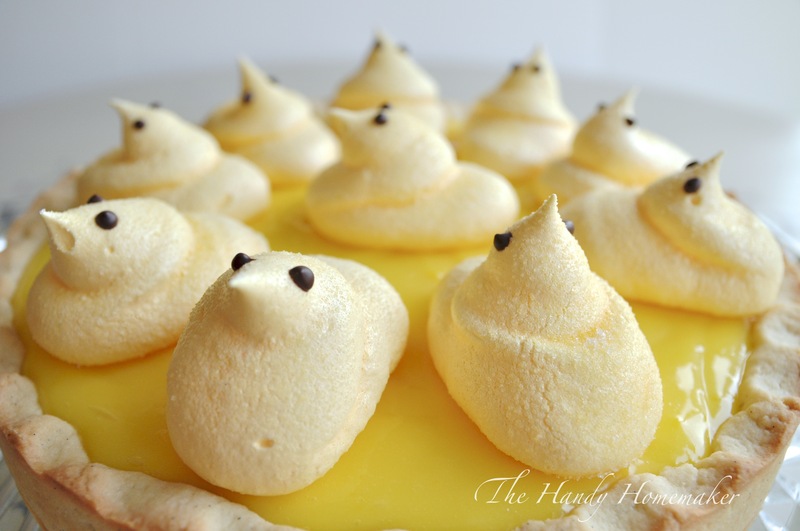 A twist a my Meringue cloud recipe for Easter. These are delicious on their own or they make a perfect topping to a Lemon Cream tart. Whisk aquafaba until frothy in a heat proof metal or glass bowl. (impeccably clean and free of any grease residue) if unsure clean with a wedge of lemon. You will need a stand mixer. Let whip for 10 minutes until stiff peeks start to form. Place over the a saucepan with 2″ of simmering water and beat 4 minutes until warm, thickened and sugar is melted and combined. Remove from heat add the cream of tartar and whip with electric hand beater or stand mixer for 5-6 minutes until thick and smooth. Whip in the food coloring of your choice. Place the meringue into piping bag with the tip of choosing (I used a large round tip) Pipe onto a sheet of parchment leaving 1″ between each one. 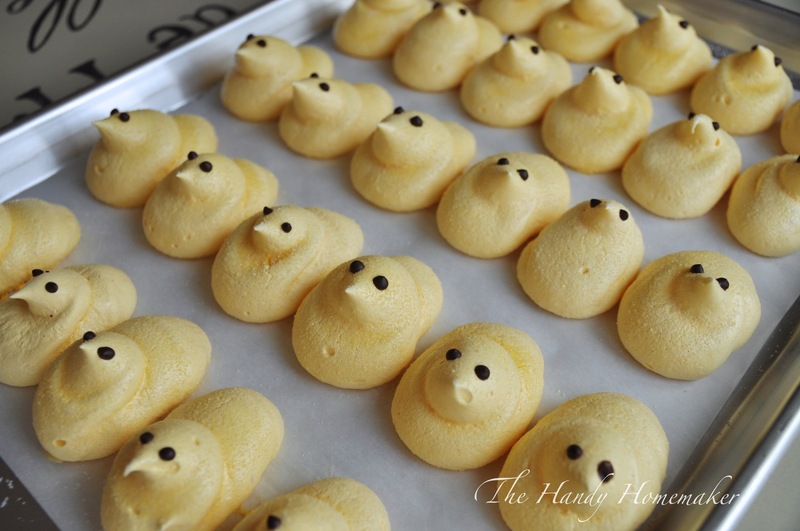 Bake in a 220° oven for 1-1/2 hours until they are crisp and can be easily removed from the parchment paper. These are best if the stored in an airtight container for up to 4 days.